All are welcome to attend our upcoming CommUnity & Cops Town Hall meeting, 6 p.m., Thursday, July 19, 2018. 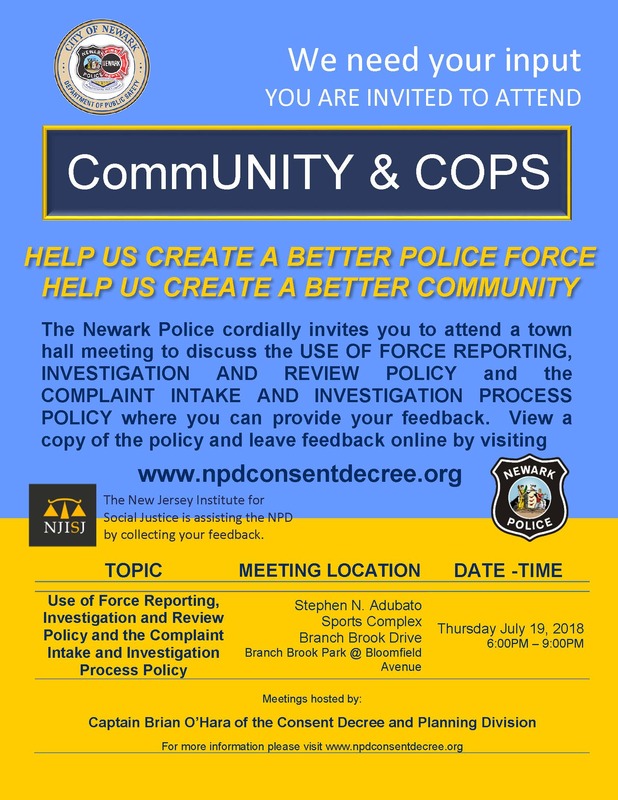 Learn about Use of Force Reporting, the Newark Police Division’s Investigation and Review Policy and the Complaint Intake and Investigation Process Policy. Community feedback will be collected during this meeting. Copies of the policies are available at: www.npdconsentdecree.org where you may also provide your feedback. Thank you.